Following Yoon Ji Sung, Park Ji Hoon, Ha Sung Woon, Ong Seong Wu, Lai Kuan Lin and Bae Jin Young announcement on their solo debut, Kim Jae Hwan is the 7th member to hold his solo fan meeting titled 'MIN:D'. 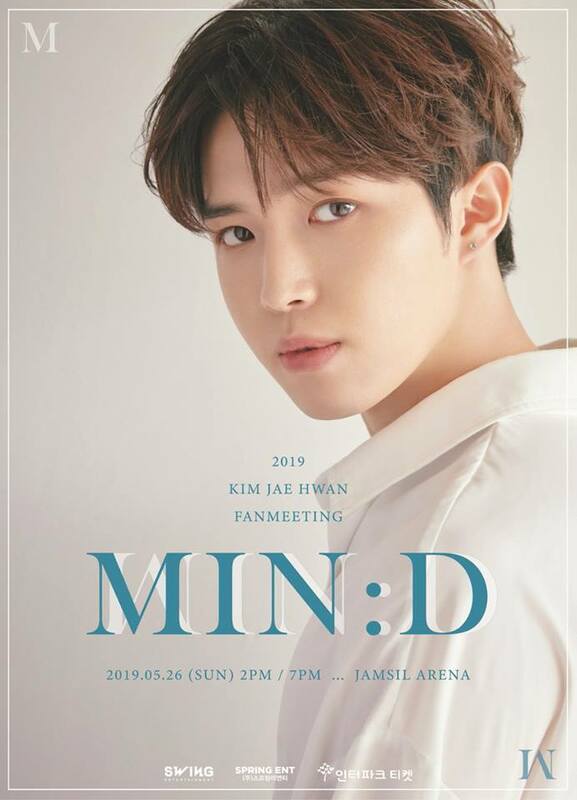 Swing Entertainment announces Kim Jae Hwan will kick start his first solo fan meeting, '2019 Kim Jae Hwan Fan Meeting 'MIN:D' in Seoul, taking place on 26 May at Jamsil Arena. He will then embark his global fan meeting tour in 7 countries - Japan, Thailand, Singapore, Taiwan, Hong Kong and Malaysia to meet the fans. 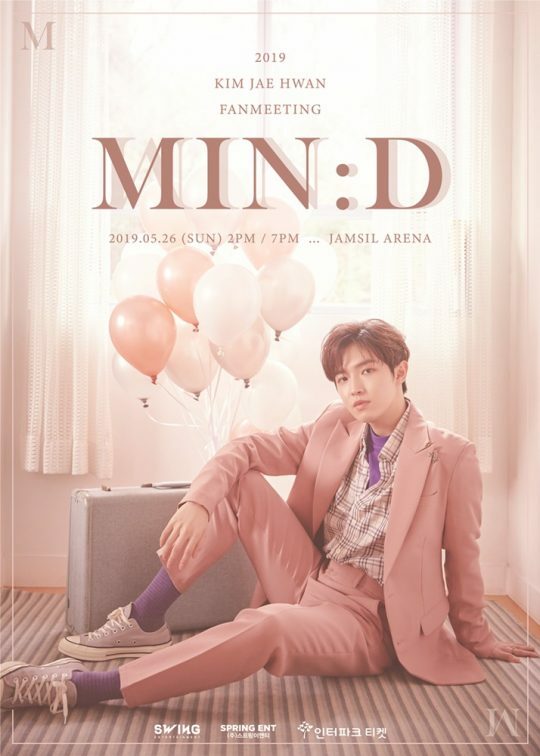 The title of the fan meeting, 'MIN:D' combines his fan club name 'WIN:D' and the word 'HEART', and it stands for the moment he spent together with fans. Aside from his solo fan meeting, Kim Jae Hwan is also preparing for his solo album. Fans can look forward seeing various contents prepared by Kim Jae Hwan. Can't wait to see Kim Jae Hwan in Malaysia and Singapore! Stay tuned for more details.